The RFID Protected Aluminum Waterproof Wallet is on sale for $14.99 at Amazon right now. That's 70% off the list price of $49.99! This is a great idea for Father's Day! 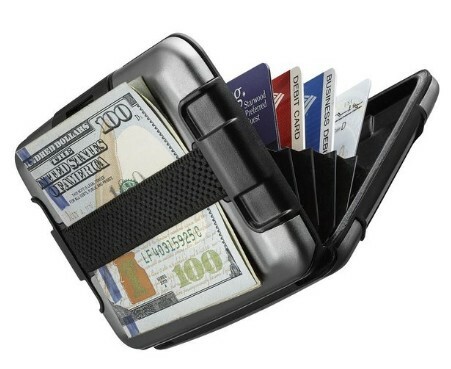 High grade plastic wallet with aluminum shell, custom design by SHARKK® brands. Seven secure slots fold out accordion style and hold up to 7 cards. Do not stuff the wallet more than the allotted space.